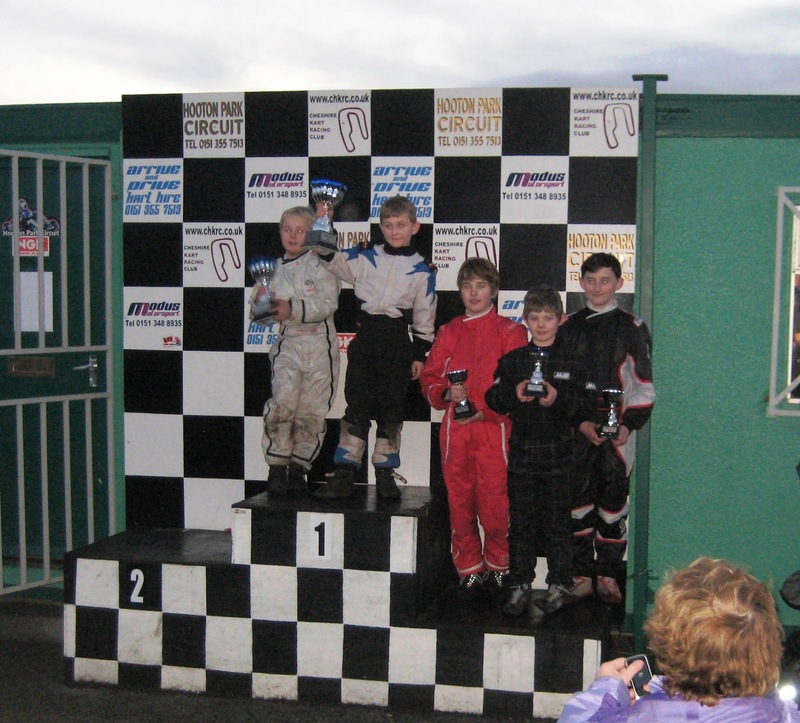 Samuel and Jacob Kart Racing: Hooton Park Indikart Championship and a Trophy! Samuel took part in the final round of the IndiKart Championship for 2012 at Hooton Park on Sunday. He had a good solid test day the previous day and enjoys the track when its wet so he was looking forward to the race on the Sunday. He set the third fastest time from 18 drivers in qualifying which placed him third on the gird for heat 1. The videos of his grid starts are not as spectacular as previous races because he is so near the front and has less overtaking opportunities but he's still quick off the mark! And he actually finished the race in third place! This is his highest placed finish from the outdoor races he's had this year - all 4 of them! And its fair to say that he is looking forward to the first race of the 2013 IndiKart Championship at Hooton Park on 20 January!